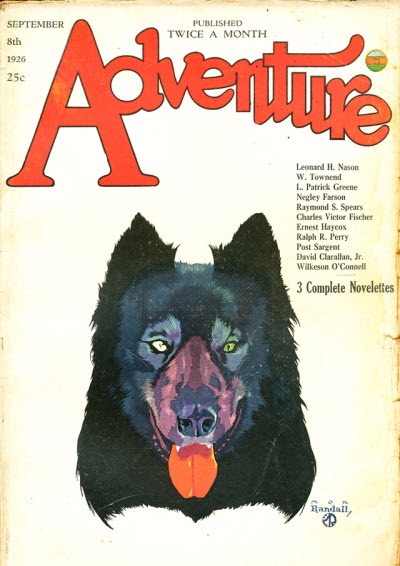 The previous article covered the top cover artists of Adventure magazine in terms of number of covers. There were many artists who stood out for one reason or another while not being on that list. I decided to write them up here. 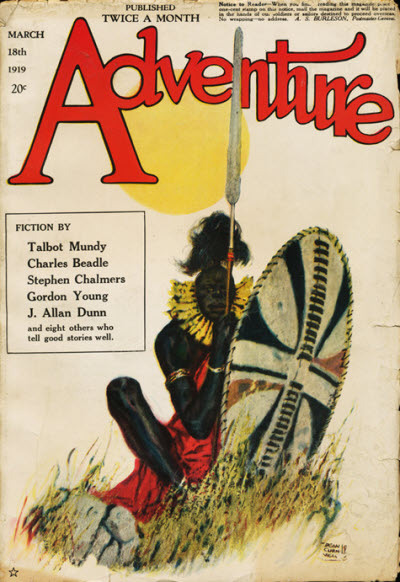 All covers courtesy of the Fictionmags index. Dean Cornwell – the “Dean of illustrators”. 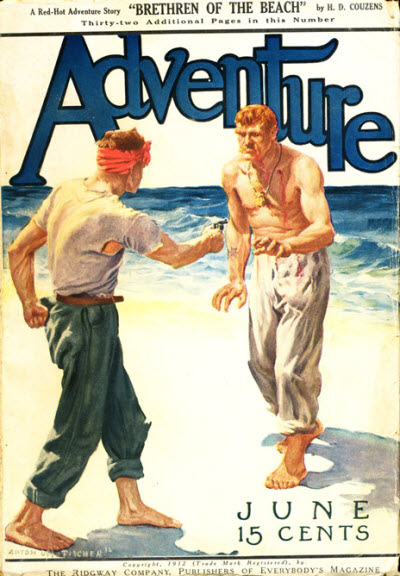 Cornwell’s only other appearance on a pulp cover was on Blue Book magazine. I like this cover better than the Blue Book one. Anton Otto Fischer – Famous Saturday Evening Post illustrator, one of whose covers was used twice. The only time that happened, to my knowledge. Arthur S. Hoffman chose it to go along with the reprint of Brethren of the Beach, expanded by H.D. Couzens into novel form and published posthumously. 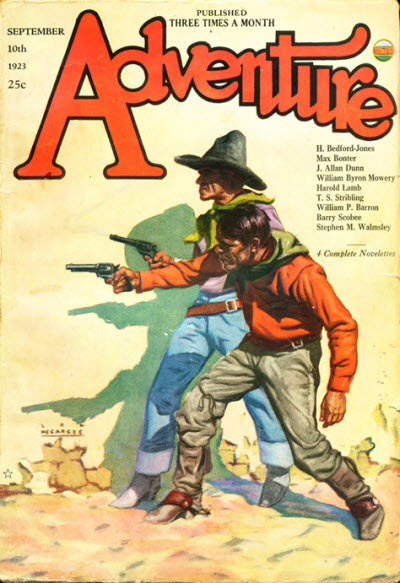 W. C. Tuttle – The only author who was a cover artist and a cowboy to boot. John R. Neill – Better known for his Wizard of Oz illustrations. 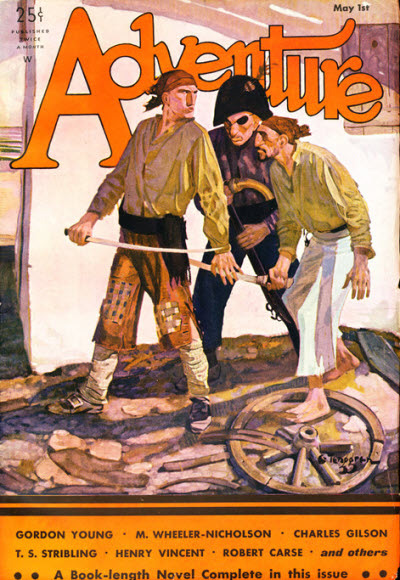 This issue has the first adventure of Harold Lamb's Khlit the Cossack. 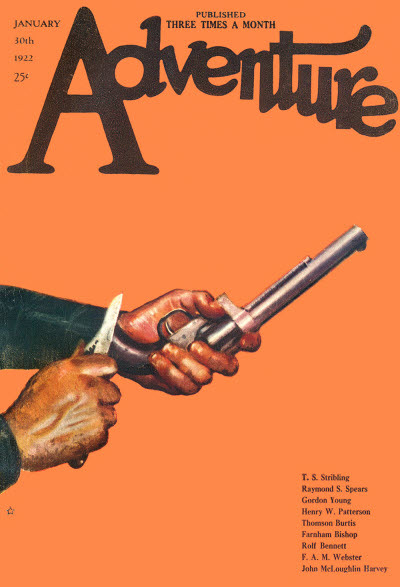 Roy Pomeroy – The only Oscar winner to draw a pulp cover as far as I know. Born in India, and to my knowledge the only illustrator from India to draw a cover. So we now have an Indian illustrator in addition to an Indian author. Mon Randall – A motion picture artist. He was not credited with the cover, though his signature appears on it. 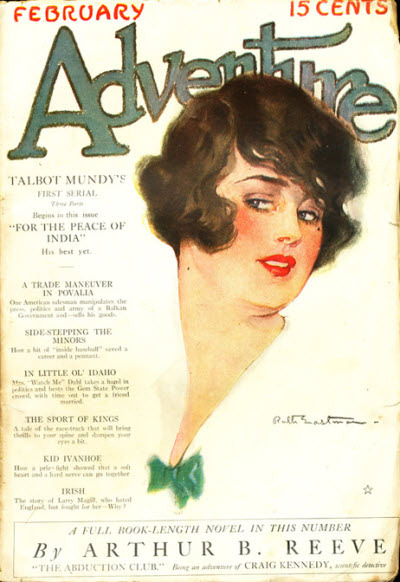 This is the cover for the September 8 1926 issue, which is credited to W.F. Soare instead. The mistake is in the table of contents for the magazine. No idea why. 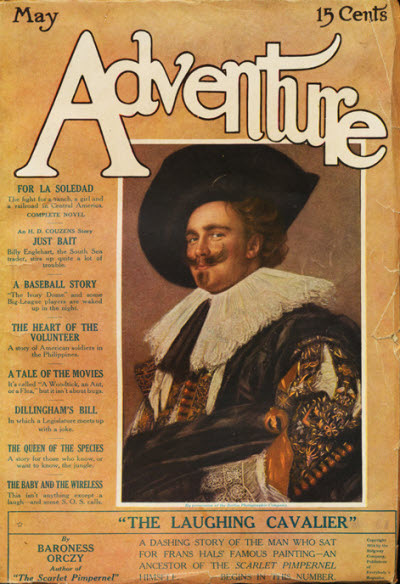 Paul Stahr – The illustrator who did almost all the Argosy covers for more than 100 consecutive issues shows up here with one cover from March 1944. 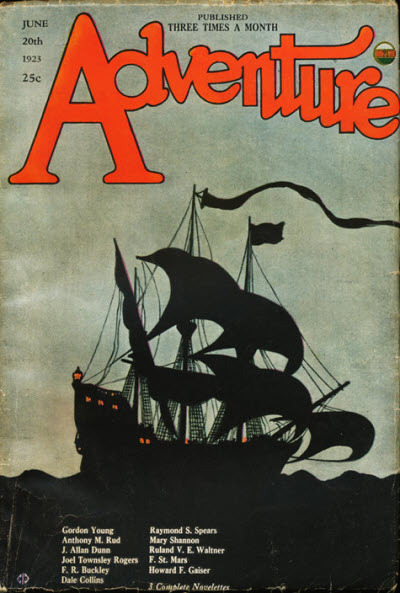 Gustaf Tenggren – A Disney animator draws a pirate cover. 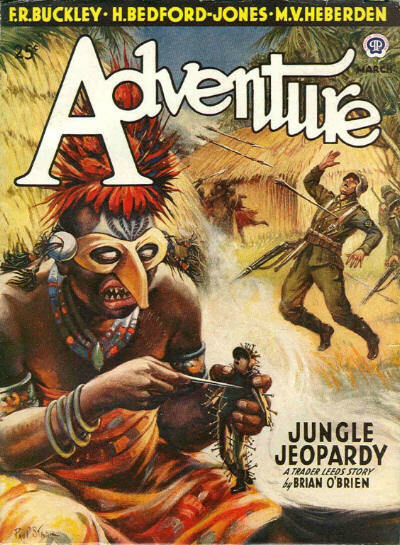 I can’t imagine another instance where this happened with a pulp magazine. 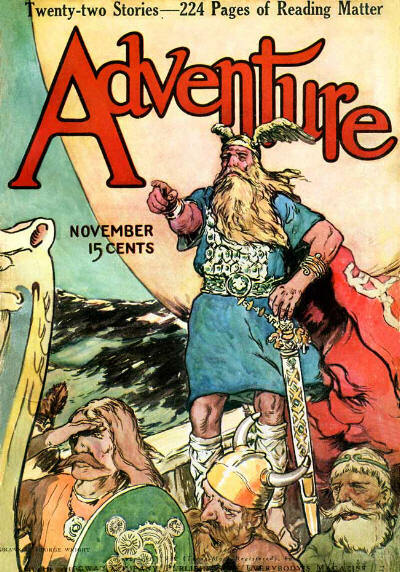 George Hand Wright – The founder of the Westport Artists Colony, where so many magazine illustrators lived, did a beautiful Viking cover. Looks like a comic illustration to me, probably a watercolor. 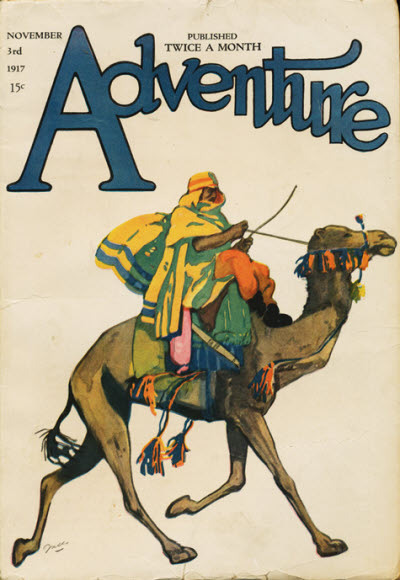 I don't know if the Ridgway Company, the publishers of Adventure, had an exceptional art director who was able to select such a diverse pool of artists, or whether this was the work of the editor, Arthur S. Hoffman. 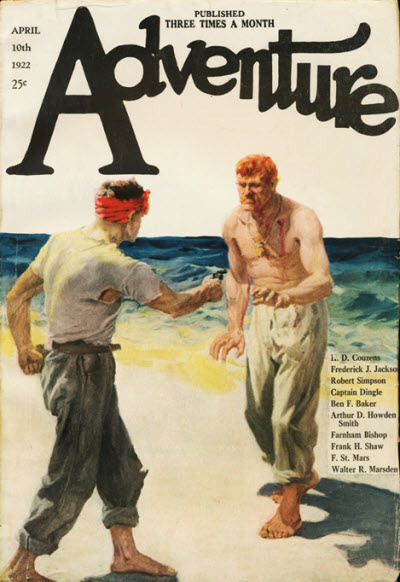 Either way, I think this adds weight to the claim that Adventure was indeed the No. 1 Pulp magazine. On a side note, doing the research for this pair of articles was not easy. The FictionMags index data is not very clean, there were multiple mistakes in it that I had to fix. Some names were spelled incorrectly, and finding out the right name was hard. Information on some artists was impossible to find. The illustrators seem to have been given almost no attention by newspapers. I could find almost no interviews. All of which is to say, please support the wonderful work being done by the folks who bring out Illustration magazine. Subscribe to them (60$ for an annual subscription in the US). That’s 15$ an issue for some of the best research being done today. And of course the gorgeous artwork is a bonus. Or you could buy any of their books. And please share your views by leaving a comment below. Getting off the soapbox now. Thanks for listening. Another ADVENTURE artist that I like a lot is Will Crawford. 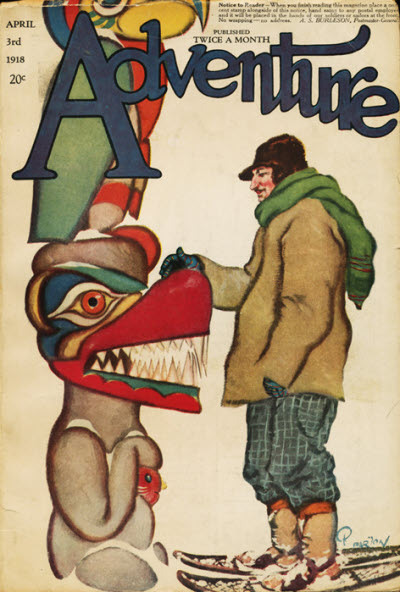 He illustrated many of the issues with interior illustrations but he also did a few covers. His detailed pen and ink work did not transfer well to pulp paper but his art is excellent. One correction you might want to make is that Illustration House is a NYC gallery that sells mainly illustrations from the slicks and books. Established by Walt Reed who died recently at age 97. His son Roger Reed is now in charge I believe. 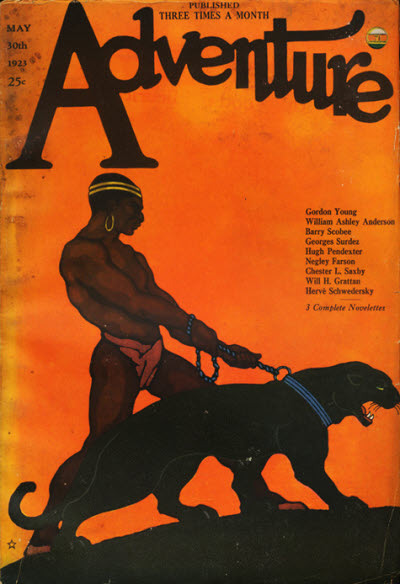 ILLUSTRATION MAGAZINE is an excellent magazine with many articles on the pulps. I've been a subscriber since the first issue and I even have a short piece in the second issue about my insane desire to collect pulp art. But it has no connection with Illustration House. 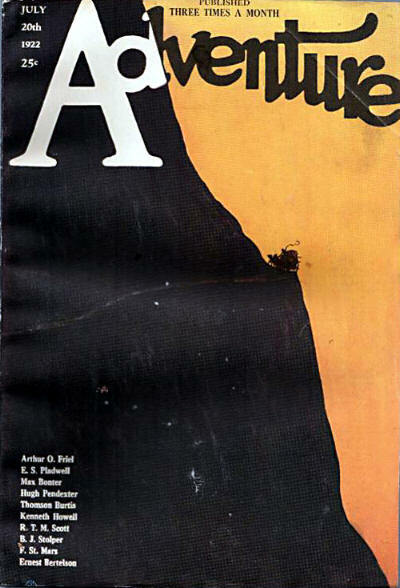 The magazine's editor and publisher is Dan Zimmer in St. Louis. Fixed the error, Walker. Thanks for pointing it out. I stumbled upon this sight when I was looking at images by the artist Rolf Armstrong. 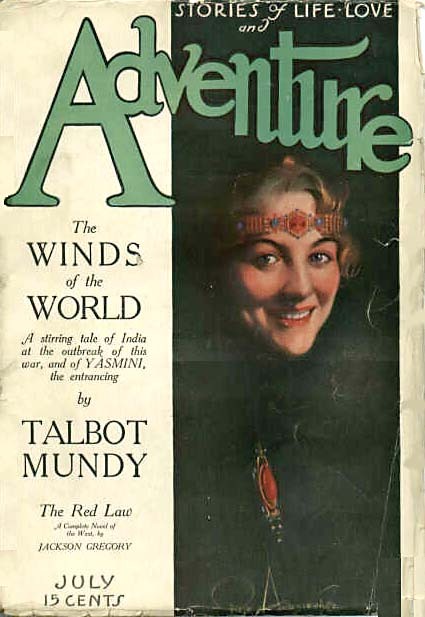 The July 1915 cover is one I'd never seen and would be very interested in purchasing an original cover or complete magazine, but I have no idea who to contact. Ebay is your best bet for this one. 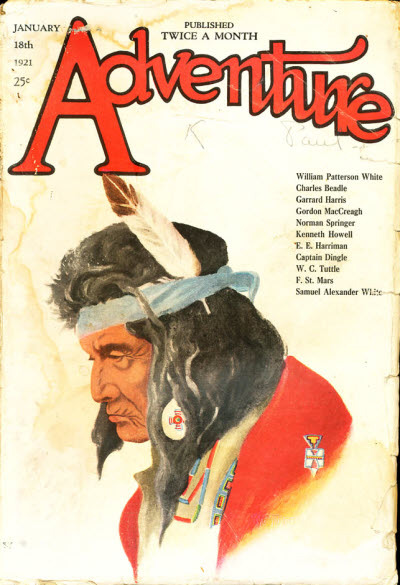 This is an early issue, and as such is hard to find and costlier. If you want a high resolution scan, i can help with that. I appreciate the scan offer, but I am only interested in an original copy. I've searched Rolf on ebay since 2008 and never seen this image. I'll start searching under Adventure Magazine.